This challenge was supported by the PLA in celebration of the Authority's Centenary. A team of eight, including six PLA staff, aimed to conquer the highest peaks in Scotland, England and Wales over a three-day period which saw them travel almost 1300 miles and scale a combined height of 3407 metres. 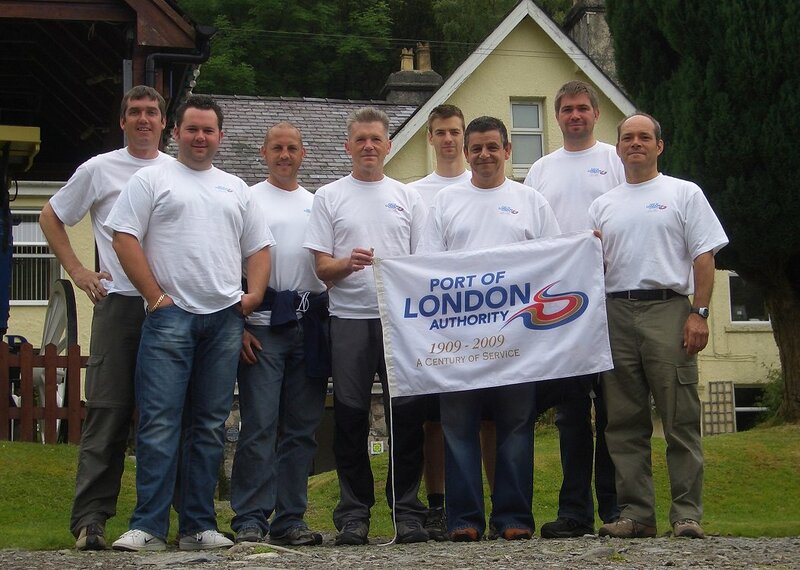 The Challenge, completed between 18th and 21st June 2009, started with an overnight drive of 550 miles from Gravesend to the foot of Ben Nevis near Fort William in Scotland. At first light the team set off to tackle the 1344 metre climb to the summit of Ben Nevis. Just under seven hours later the team set off on the 200 mile journey to the second peak, Scafell Pike in the Lake District, arriving with a few hours to spare before dawn, when the ascent to the 978 metre summit started. After conquering Scafell Pike in just over seven hours the team set off for Wales and the third and final peak, Snowdon. After a journey of 280 miles the team had time for some much needed rest and refreshment before setting off at first light to tackle the final ascent of 1085 metres. At each summit a team photo was taken with the PLA’s Centenary flag. All money raised through sponsorship of the team and individual members will be distributed to various charities including the Sea Cadets, Mission to Seafarers, Docklands Sailing and Watersports Centre and the Ahoy Centre (water sports for under-privileged and disadvantaged children).